EP!20 dial styling, so a good accessory for the EP120 owner. 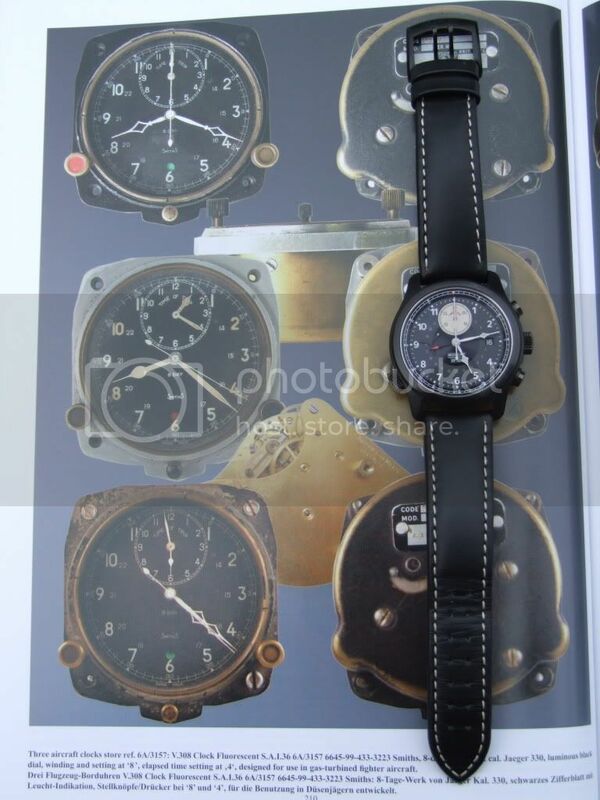 WWII Smiths 8 Day Aircraft Clock Monte Carlo Rally. There is a day left and the current bid is at £125. I thought about that one but it had cathedral hands. 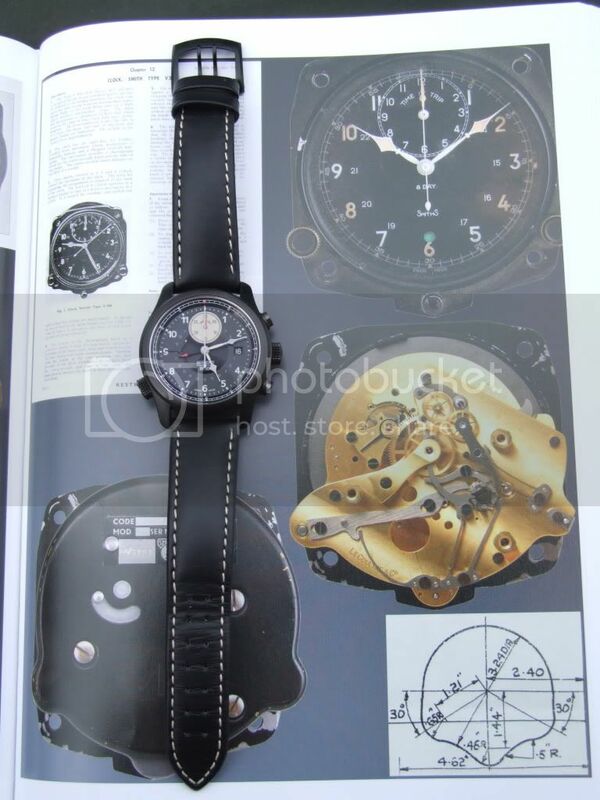 Below are a couple of photos of my EP (with its new "non-fitted" Bremont strap) next to Smiths clocks with "EP hands" in Konrad's new British Military Timepieces book. Still resisting. Saw another one in Horrids. Was tempted, but until I get a windfall, it's more likely to be the SM500 for now. Re the new strap, what new strap? It's probably not too clear in the photos but you can just about see that it is not "fitted" to the case, so it is just like the Bremont straps on their other watches. It looks and wears much better, particularly since you can see more of that superb piston-grooved case. The EP120 does seem to have a life of its own outside of the Bremont fold doesn't it.....? Missed that in your pictures. Does it wear better than the original strap?